Recently, Jim Emmons submitted the closing documents for the Water Sport Foundation’s Fiscal Year 2014 Grant (July 1, 2014 through June 30, 2015) and theÂ Executive Summary is now complete. In this grant year, with the help of our four media partners, the WSF produced an astonishing 131,802,507 boating safety impressions. Since the WSF started the U.S. Coast Guard outreach campaign in 2011, recreational boating in America continues to be a safer activity. Accidents and deaths are trending down and the attitudes and behaviors of boaters (results of our measurement study) are improving again with respect to increased life jacket wear rates, reduction of BUI incidences, increased awareness of navigational rules and an increase in the willingness of boaters to take education courses. 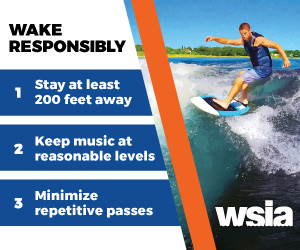 This month and next you will see an increase in the WSF’s efforts to expose boating safety as the spring 2016 campaign has begun and will continue to ramp up through this summer.